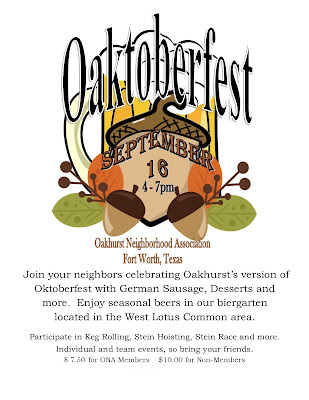 Oakhurst Neighborhood Association, Fort Worth, Texas: It's "Oaktoberfest" in Oakhurst! 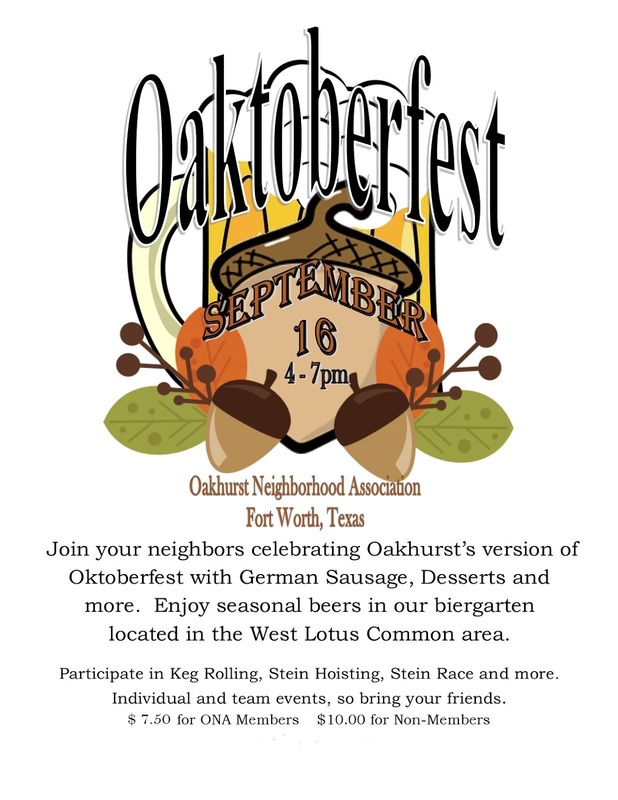 Join your neighbors next Saturday evening and celebrate Oakhurst's version of Oktoberfest with German food, drink and games! Bring your friends! This was fun last year! Look forward to it.